Patrick Ryan Boots: in memoriam. 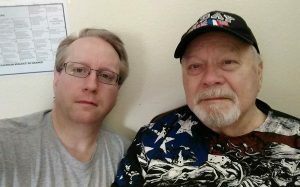 On February 15, 2017, my father passed away after a lengthy battle with dementia. Following is the eulogy I delivered at his memorial service. 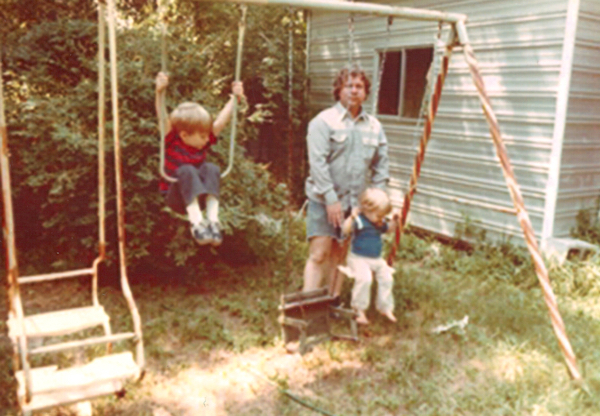 At this time, I seek to be candid – forthright about who my father was and how he led his life. I feel that, by sharing aspects of his past to some who might not be aware of his wider story, we might look upon him with an increase of charity and understanding. Hopefully, I will be candid without being insufferable. Dad with his brother Mike. First off, because I get asked this frequently: he was named Patrick Ryan, my parents named me Ryan Patrick. (I took great care never to do business at any bank where he had any accounts.) Born on March 16, 1943, he was related to several generations of descendants in west Texas and Oklahoma. However, he was born in Los Angeles, California, right in the middle of the Second World War. 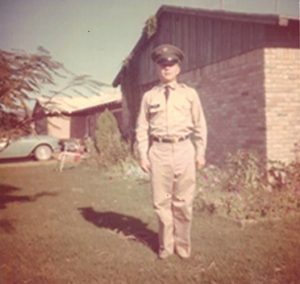 By his account, his father, Ervin, was medically exempted from military service due to poor eyesight – he was mostly blind in one eye due to a childhood accident – so he ended up in industrial sales in L.A. There he met Dona Mae Jones, who was a Rosie the Riveter, working as a welder in a factory linked to the war effort. They married, and in short order, Ervin found himself supporting a wife and three children. 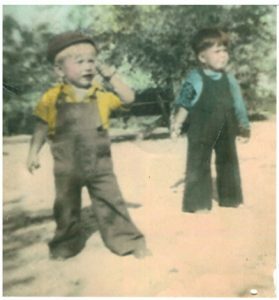 Not too long after the birth of my father, the family moved to Texas, where Ervin felt that he could make more money by working in the oil patch. My father remembered nothing of California; if he did, he said nothing about it. 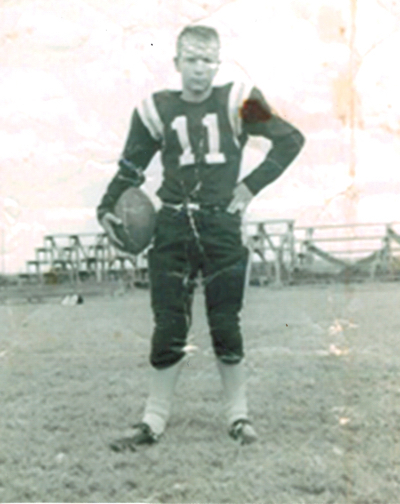 His childhood memories were of places like Sundown and Brownfield, tiny little towns that you probably have never heard of in the harsh prairie of west Texas. 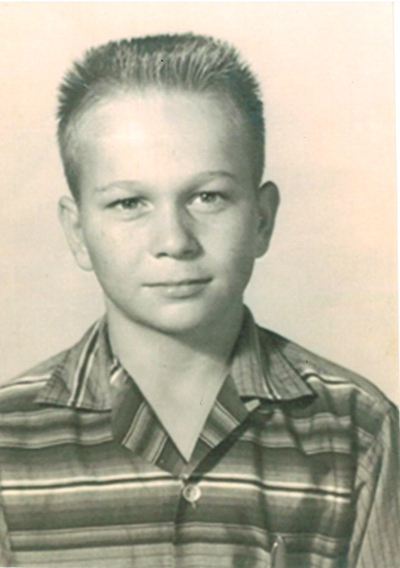 He may have been born in California, but the oil patch – that’s where he was from. It was a bleak landscape, and by all accounts, a bleak childhood. His parents were, according to him, violently intolerant of even the tiniest perception of misbehavior. He had a particularly troubled relationship with his mother. I recall him saying that as a boy, she would lie down every afternoon for a nap. When she arose, she would give him a whipping if he woke her up, and she would give him a whipping if he didn’t wake her up. There was also the unyielding society in which he lived. 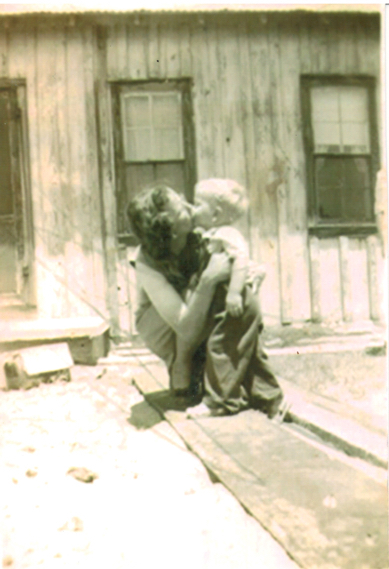 He grew up in communities that were coming off the heels of the Great Depression and the war. 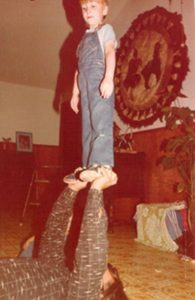 Between the environment in which he found himself and his small stature which, unfortunately, attracted the attention of neighborhood bullies, I believe that he developed a highly tuned siege mentality, always ready to assert himself forcefully, particularly if he felt threatened in any way. He said that he was put to work at a very young age. He was not yet eight years old before he began working at a local grocery store. 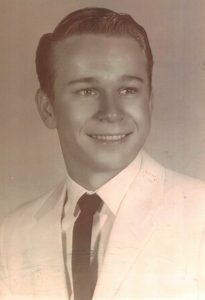 Later, he and his brother Mike collected empty oil barrels for a company that remanufactured them into barbecue grills. As teenagers, both boys were put to work by their father helping to tear down and rebuild oil pumps. There was more to his childhood than labor. He grew up spending lots of time outdoors, and was an avid hunter and fisherman throughout his life. He loved animals, particularly dogs. He told stories of Shadow, a retired military K9 that his family had adopted. And he loved sports. 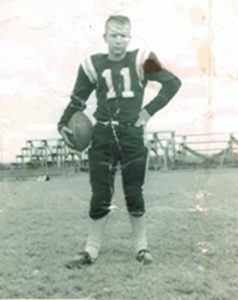 A high school running back, he was an avid football fan throughout his life. He was also an above-average pitcher, later playing semipro ball in his mid-20s. But he learned this from his father: the importance of caring for family. He learned that a man did whatever it took to provide for his family, that brothers looked out for one another. 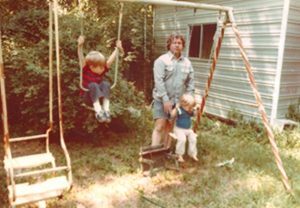 These were lessons that my father took great care to pass on to his sons. After graduating from Permian High School in Odessa, my father enlisted in the military. I don’t know if it’s possible to overstate the lasting impact that the Army had on his life. Through what he called “sheer dumb luck,” he rose through the ranks quickly, being promoted to corporal by the age of 19. 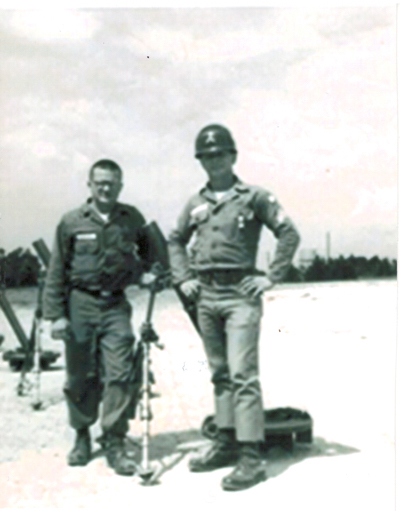 He spoke frequently of experiences he had during his service. All throughout his life, he had a great interest in military history and strategy. I also suspect that his military service increased his appreciation for his Second Amendment rights; he was certainly the prototypical flag-waving Fox News-watching conservative. Dad to the right of an unknown fellow enlisted man. But he felt he didn’t take advantage of everything that his time in the military had to offer. 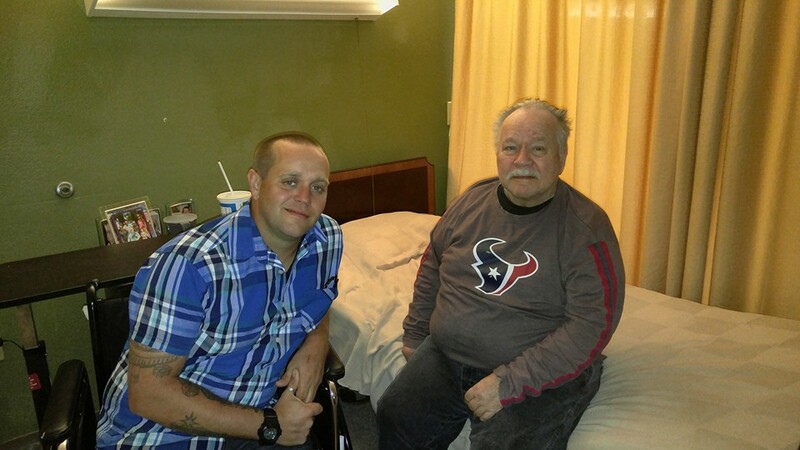 While living in a nursing home in his final months, he told me openly that he wished he had pursued aviation training available to him during his enlistment. And he also regretted not serving in Vietnam, feeling that he had failed to fulfill his duty. After his military service, college was never really on his radar; he returned to the workforce, pursuing a range of manufacturing jobs that eventually brought him to Houston, where he would spend the rest of his life. With him, he brought himself – his way of looking at the world, of interacting with people, of carrying around the traumas experienced in a chaotic childhood. He continued to live a hard life, engaging by his own admission in a number of unhealthy behaviors as, I believe, a form of self-medication. He married, then divorced, then married a second time. This second marriage, which produced two sons, in time became exceptionally troubled – headed, it seemed, for a very ugly end. And then something happened which would radically change his life and that of his family. 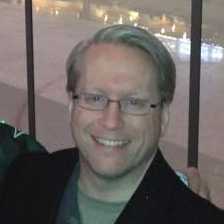 He and my mother joined the LDS Church. They remained married, and had two more sons. I have been asked whether my father really believed in Mormon teachings – in LDS parlance, if he had a testimony. Based on what I could see, my response is: absolutely. He found in Mormonism answers to questions from his youth about God that no other religion had been able to answer to his satisfaction. He had a deep reverence for temple worship, and particularly appreciated the uniquely Latter-day Saint doctrine of baptism for the dead. And the Church also blessed him with service opportunities that he probably wouldn’t have experienced otherwise. As many of you know, he served in a number of leadership callings over the years: elders quorum president, high priest group leader, counselor to three bishops. But again, when he joined the LDS faith, he brought himself. Of course, this is what we believe is the great news about Jesus’s invitation: that as we bring all of ourselves when we enter the fold, that our weaknesses and imperfections can be washed away through the Atonement of Christ. But to be fully healed, there must be willingness to change. And unfortunately for my father, fully acknowledging the extent of his emotional damage and weaknesses was just a bridge too far. I mentioned earlier the notion of self-medication from past traumas. Some people, in the course of seeking solace, become addicted to drugs or alcohol. In the case of my father, I believe that he became addicted to anger. The only way he knew to cope with any type of pain was to inflict it on someone else. Tragically, those most frequently on the receiving end of that anger were those closest to him – namely, his wife and children. As some of you know all too well, he certainly had a terrifying temper, and few reservations with displaying a show of force. I know personally of at least two occasions in which he pointed a revolver at individuals who posed a threat to him. So far as I know, he never had a permit to carry a concealed handgun – to him, gun regulations were more like technicalities or suggestions as opposed to legal requirements – but in his defense, he was completely justified in brandishing a firearm in at least one of those cases. I would know – I was there. When I was about 14 years old, he was driving on some Houston freeway one evening. I was riding in the front seat, and one of my brothers was in the back seat. Suddenly, two punks in a muscle car started swerving at us, cut us off, forced my father to pull over to the shoulder of the road. Then they got out and started walking towards us. My father said, “Boys, don’t move,” pulled his revolver out of the glove box, and leveled it at them. The two gentlemen responded with words and a few obscene gestures, but once my father made it clear that they were about to start something they couldn’t finish, they went their way. The lesson? You step up for your family, whatever it takes. My father made it clear on multiple occasions, by word and deed, that he would go toe to toe with anyone who mistreated any member of his family, and that went double for his kids. Many of you knew my father merely as a kind, funny, cheerful fellow. This was also a big part of his personality, which was invaluable as he made his living in heavy equipment sales in his final years. He had a real sense of humor – loved to laugh, was quick with a joke. Years ago, while working as a maintenance supervisor at a factory in Channelview, he pulled so many pranks on his own boss that he said that he was surprised he didn’t get fired. He had a greater capacity than might be expected for compassion, in some cases towards those who others would shun. I recall talking to him on the phone one day while he was driving when he started laughing. A panhandler at an intersection was holding a sign: “May Be Ugly, But Still Need Money.” Of course, my father gave him a few bucks, thanking him for the entertainment. And he did his what he could to raise his sons the best way he knew how. He sacrificed greatly to provide opportunities for all four of us to develop the talents we had been given, even if they were activities in which he had very little interest or ability himself. And in contrast to his own upbringing, he made real efforts to be active in church throughout his life, seeking to set an example for his sons. But his inability to bridle his passions would ultimately be his undoing. As many of you know, in time, he and my mother divorced. He would go on to marry and divorce three more times. During his fifth and final marriage, he lamented one day, “I guess I’m just no good at being married.” Many suffered at his hands, but none more so than himself. It is a hard thing to say, but in the end, he did die alone. The emotional damage that he carried with him finally reached its breaking point, I believe, with the passing of his youngest son. As many of you know, Chris died of a drug overdose on June 18, the day before Father’s Day. Prior to this, my father openly and clearly told me, on repeated occasions, of his desire to leave mortality. I believe that the grief from my brother’s death stripped him of what little resolve he had left to remain alive. 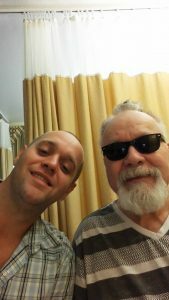 The dementia that afflicted him in his final years asserted itself with breathtaking speed; by Christmas, barely six months after Chris’s passing, he was confined to a wheelchair and was barely able to speak at all. I last saw him a week ago yesterday – Friday, February 10th. He had just been moved to a nursing home after his third trip to a psychiatric unit. He was awake, but completely withdrawn. I spent the afternoon at his side, but he never said a single word. I was only able to get him to look at me once. 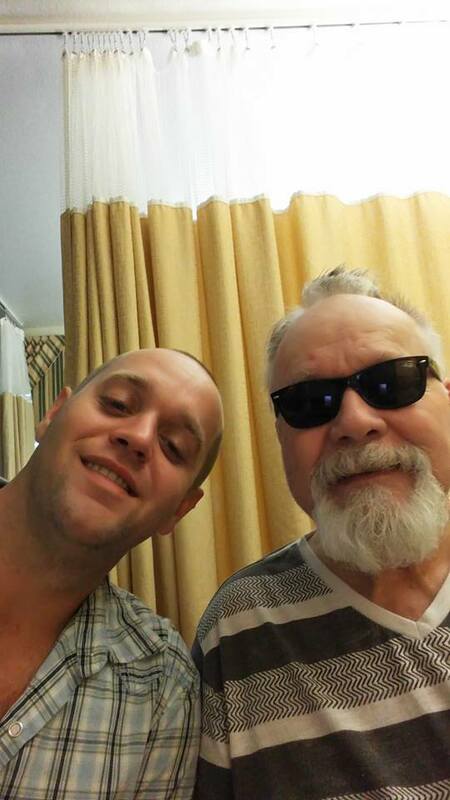 I believe I speak for my brothers when I say that my father’s passing is not a surprise, and is in fact merciful. The experiences that he endured seemed to leave him hardened rather than strengthened. But I believe that he lived as he did because he was modeling what he experienced from his earliest days. In modern technospeak, he was executing the script that he had been given, and just couldn’t understand that he had the means to write up a new script. He parented as he did simply because it was what he knew. I don’t believe that it’s accurate or fair to see him as merely weak, but rather as a deeply damaged individual. Nor is it accurate or fair to disregard the valuable lessons that he taught me and my brothers, or his efforts to lead a righteous life. I do not judge him; instead, I ask if I might have done any better had I been forced to walk his path. Indeed they are. He is now in the presence of our Father in Heaven, finally released from the bonds of mortality. It is my prayer that he will finally learn the doctrine of the gospel that seemed to elude him most throughout his life: the doctrine of grace. Now he will finally see a God who does more than judge his children, but one who is forgiving, compassionate and merciful. And maybe he will now have the opportunity to experience the healing power of Christ for the wounds experienced during a long mortal journey. July 10, 2016. One of my last pictures of the two of us together. I am grateful to him. Grateful for what he did, for what he taught me, and even for those lessons he unintentionally taught. This I share in the name of Jesus Christ, amen. Miss him every day, a great friend that never said no to help anyone, who had a big heart and big smile even when not felling so great. Rest in peace Pat! Thanks for the kind words, Rosa. You were a wonderful friend and neighbor to him in his final years. Muito obrigado! You are correct. I think I remember you, actually.